The Paranormal Investigators of Milwaukee are often called in to investigate supernatural activity, but one of the primary goals of the group is to educate the public about the paranormal. 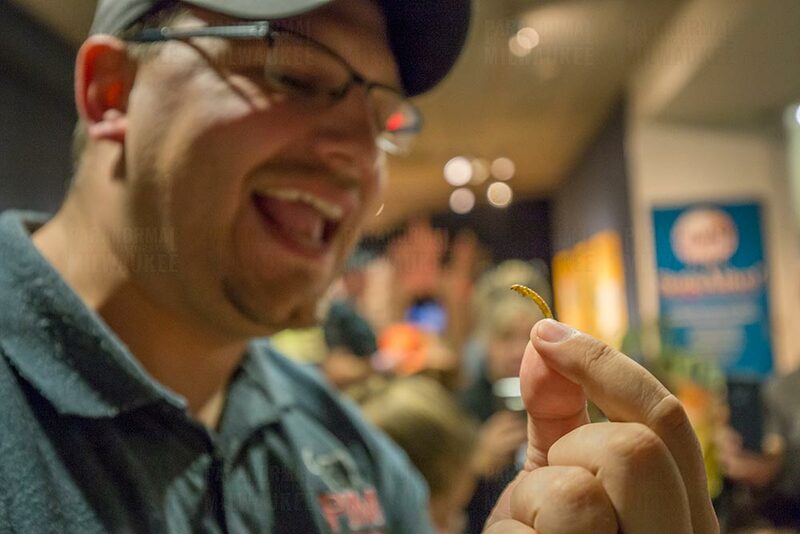 PIM was excited to be asked once again by the Milwaukee Public Museum to give there presentation at a recent event. October is often a busy month for paranormal investigators and PIM is no exception. Each year PIM is asked to give numerous presentations, host public investigations, and even appear on the news. One of our favorite presentation events is the members-only trick or treat night held at the Milwaukee Public Museum. 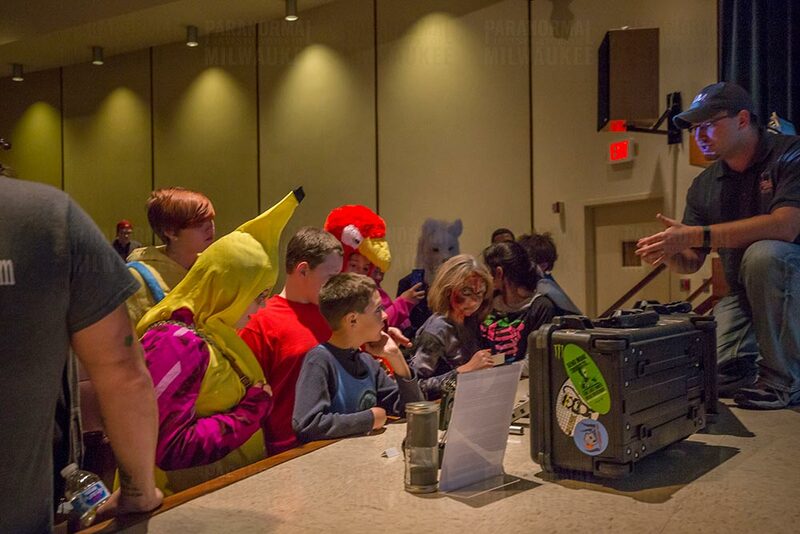 Once again PIM members were invited back to talk to the young ghouls and goblins wandering the museum that night in search of candy and scares. 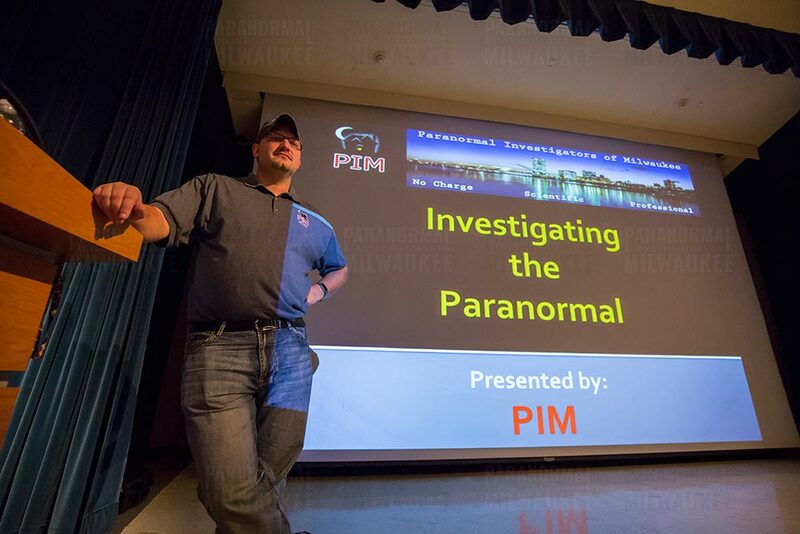 After arriving, Noah, founder and leader of the Paranormal Investigators of Milwaukee, and a couple other team members performed a quick sound check and set up the presentation, “Investigating the Paranormal”, before touring the various other attractions at the museum. The team found a number of informative presentations as well as a quick treat in some roasted crickets and mealworms! Noah took the stage for four presentations, explaining the paranormal and the effect it can have on peoples’ lives. He covered topics such as the four recognized types of hauntings, and how Hollywood often gets them confused or misrepresents them. He also covers how to investigate the supernatural scientifically and what we really know about the topic. 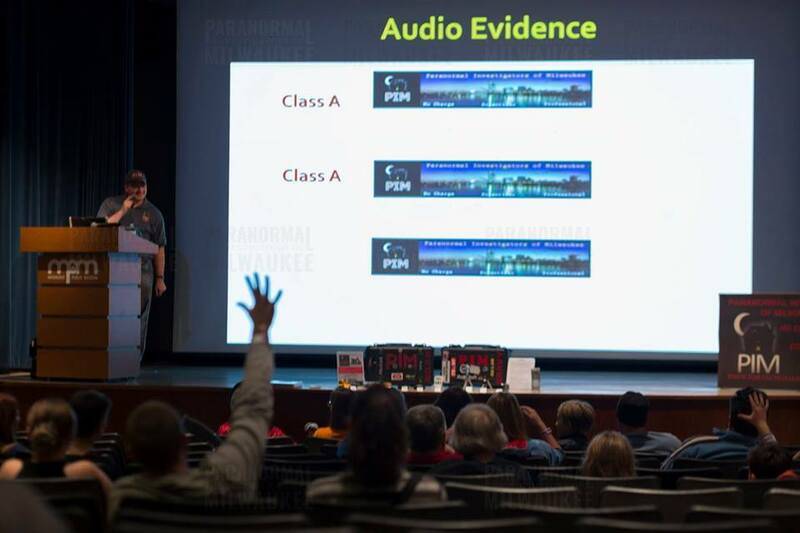 The crowd is rapt with attention during the interactive portion of the talk, as Noah went through captured EVPs (Electronic Voice Phenomena, voices captured on recording devices but not heard at the time) and asked the audience to participate in trying to decipher them. Many guesses were submitted, some correct, before it was revealed what PIM investigators think the words are in each clip. After each presentation, the PIM team stayed behind with equipment out on the stage so that anyone in the audience could come up and ask questions or see which devices PIM uses to document and record data on its investigations. PIM would like to thank the Milwaukee Public Museum for once again inviting us to give our talk at their events. We have had a great partnership with the museum, and look forward to someday investigating there again. If you have not been to the MPM in a while, consider heading back, they’re always updating exhibits with new information and hosting special presentations like ours.